Fishing has been great over the last few weeks, and I've hit the river quite a few times to drift big dry flies over eager trout. I even spotted Noconympher through the stream side bushes one day! to keep this old G around, because although it does not do everything well, it excels at what it was designed for, a moderate casting action that will lay out a dry fly perfectly. 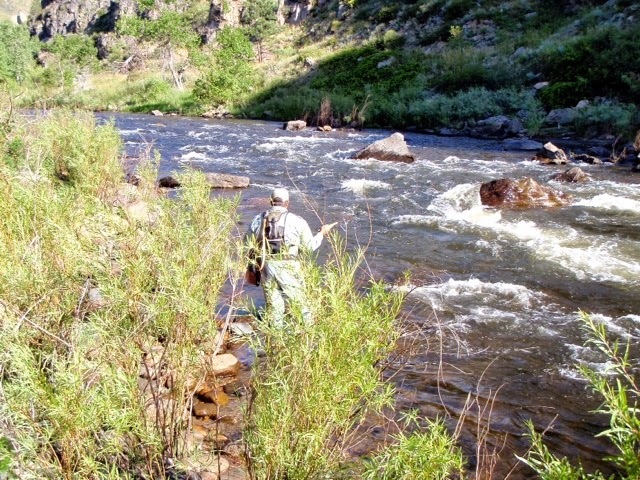 I've fished this rod quite a bit in the past, including an epic day catching fish on green drakes on the Frying Pan, and countless trips to RMNP. 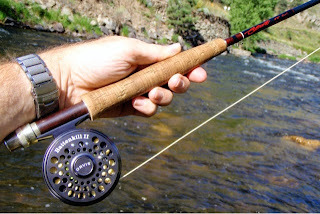 What are some of the classic fly rods that you love?